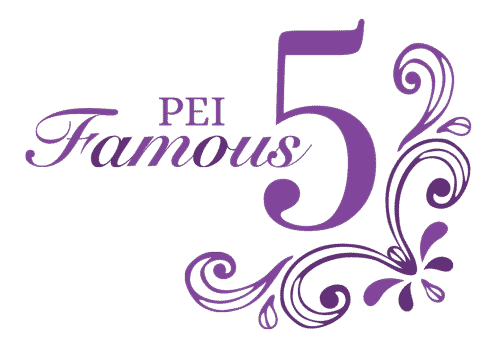 Celebrating the women who held the most influential positions in the province of PEI. Exploring the role of women in government and leadership. Changing the future through awareness and engagement in the political process. 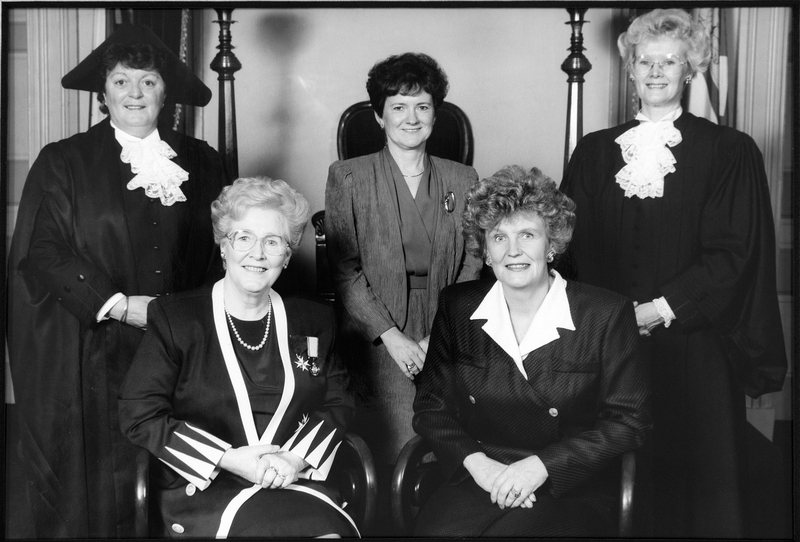 In 1993, women held five of the most influential positions of government in the province of Prince Edward Island. 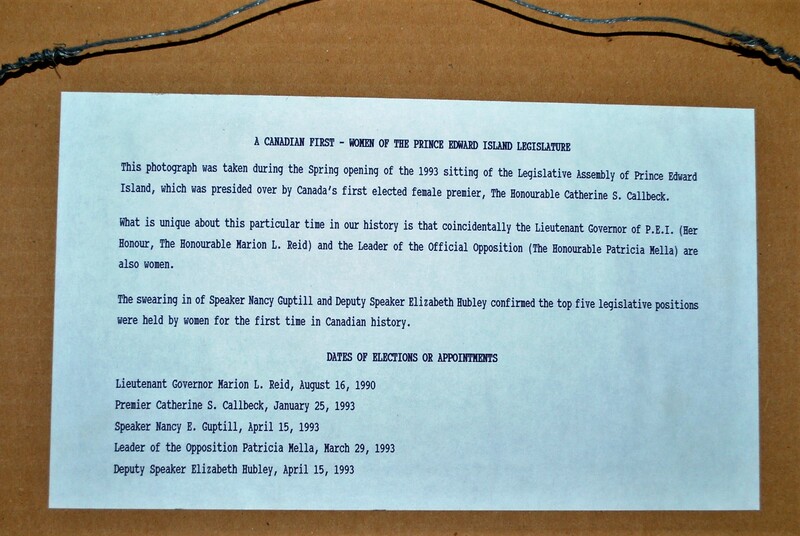 This is the first, and only, time in Canadian history that five women held these positions at the same time. 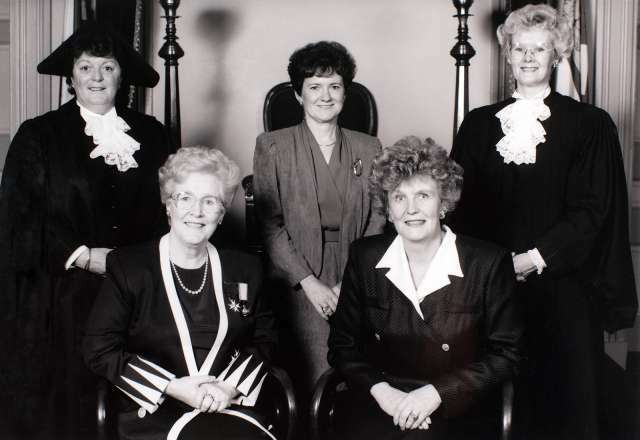 This historical photograph was taken during the spring opening of the 1993 sitting of the Legislative Assembly of Prince Edward Island, which was presided over by Canada's first elected woman Premier, Hon. Catherine Callbeck. What is unique about this particular time in our history is that women also occupied the positions of Lieutenant Governor, Hon. Marion L. Reid, and Leader of the Official Opposition, Pat Mella. The swearing in of Speaker Nancy Guptill and Deputy Speaker Elizabeth Hubley confirmed the top five legislative positions were held by women for the first time in Canadian history. 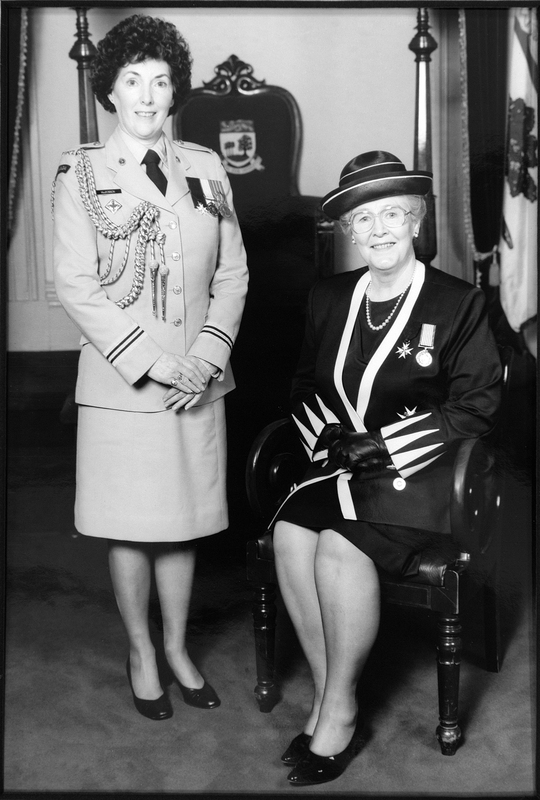 One more person, who is often overlooked during this time in history, is the aide-de-camp of the Lieutenant Governor, Margaret MacKinnon, who was the first woman to hold the position. It is unknown whether the photo was requested due to the historical significance of it or perhaps it was part of one of a number of photographs taken during the opening of the Legislative Assembly that day. We do know that the photo was captured by Brian Simpson, official photographer of provincial government. Each of these women forged an often difficult yet trailblazing path to that historic day that consisted of a great deal of hard work, a whole lot of perseverance, tenacity and untold amounts of determination. They worked tirelessly behind the scenes for their respective parties and had, as part of their private lives before politics, given countless hours in their communities for the betterment of their families, their neighbours and their beloved province. It was a path forged with grit, determination and a great deal of hard work. 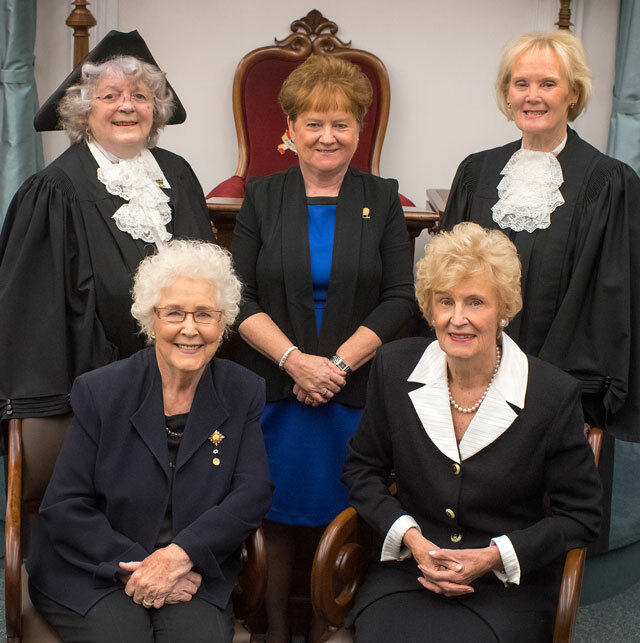 This is Prince Edward Island’s Famous 5. To mark the 2018 United Nations International Day of the Girl Child, 27 young women from across PEI were invited to see history repeat itself at the Legislative Assembly of Prince Edward Island. During a full day of learning and sharing, the young women had the privilege to meet and hear from PEI’s Famous 5 -- Hon. Marion Reid, Hon. Catherine Callbeck, Nancy Guptill, Pat Mella and Hon. Elizabeth Hubley. The day ended with the re-enactment of the PEI Famous 5 photo, once again captured by Brian Simpson as official photographer.